When the only tool you have is a hammer, the tendency is to assume all problems are nails that need pounding. When it comes to organizational conflict, we often wrongly assume that we are limited to processes that take the solution away from where it belongs – that is, as close to the people experiencing the conflict as possible. Many potential tools exist for responses to conflict, and the most appropriate tool or tools depend on the circumstances. We have the interview and analytical skills, along with the contextual and process knowledge, to allow us to do quick investigations and advise on how conflict should be handled in any given circumstances. We believe that a triage assessment should always be the first step before reverting to more formal processes. Each organizational structure and culture is unique. One size does not fit all. The process tool most appropriate for responding to incidents of conflict often needs to be customized to the workplace in which it will be used. Communications plans, which strike the right balance between respecting privacy and valuing transparency, should be developed to suit organizational needs. We are experienced and comfortable with many process tools and are not dogmatic about how they might be applied. Our services in process design often flow from our triage assessments and often involve more than one process or a hybrid approach. We recognize the importance of process buy-in by potential participants, and make consultation and process education a part of the design process. We have done many conventional investigations. Sometimes they are the appropriate process for the circumstances, especially if the complained of conduct is limited to only one alleged perpetrator, does not reflect complex systemic causes, and termination of employment might result if the allegations are proven to be true. More often conventional investigations are the equivalent of the hammer, when the problem is not a nail that needs pounding. If an investigation is needed into what happened, why and what actions are required, we prefer restorative investigations. These always start, and sometimes end, with the triage assessment (a short investigation designed to fit the process to the problem). 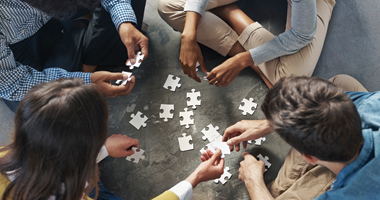 If the issues are complex in terms of causes, people and solutions, we offer extended investigations, including a restorative Circle that engages a broader group in the solution. Insightful organizational leaders often know the answer, and just require an intelligent, objective sounding board to help them work through how to handle the conflict in their organization or with other organizations. Over many years, we have played this sounding board role often, and when the issue is conflict management or achieving organizational goals through systemic change, we can provide a useful outside perspective that generates internal insights and effective action. Normally disputes can and should be dealt with by managers. Although conflict management is always part of a manager’s job; too often it is not one of the manager’s developed competencies. Because our focus is on increasing organizational conflict management capacity, we respond to opportunities for leadership and management coaching either informally or with more structured coaching sessions. Conflict is best managed closest to where the dispute is happening. This means by supervisors or line managers. In a unionized setting, union representatives are often involved in responding to disputes, not infrequently between union members. In non-union settings or for disputes involving excluded personnel, human resources representatives are the first level to which employees, supervisors, and managers go for help. We conduct conflict management training sessions for supervisors, managers, union and human resource representatives. Sometimes all it takes to get through a destructive dispute is assisting the parties in conflict to talk to each other. The emotions are such that they just cannot do it on their own. A skilled facilitator can create a safe place that allows the parties, often caught up in a web of misunderstandings and wrong assumptions, to be heard, to listen and to plot a way forward. Facilitated conversations are less formal than mediations, and rarely end in a formal written agreement. A facilitated conversation is an opportunity to practice respectful communications. Often organizations will have skilled facilitators in-house. Sometimes it makes sense for the person doing the assessment triage to build on the trust developed in that process. We often facilitate conversations as a building block towards effective group processes. Sometimes before individuals within a workplace are able to manage their differences constructively, they need to resolve an outstanding issue between them that has festered. A mediation is a more formal process than a facilitated conversation. It usually involves the participants signing a formal agreement to mediate, and it is focused on a particular issue, perhaps an incident that has led to the filing of a complaint. Mediations can be done without prejudice to the right to pursue other legal or contractual options. Often a mediation results in a written agreement. All four of us are qualified mediators able to offer this service. Often disputes between individuals are the tip of the iceberg of dysfunctional conflict management in a workplace. For example, a workplace with repeating complaints of bullying, harassment or disrespectful conduct could be a “poisoned” work environment. In those situations, focusing on individual complaints does not bring about sustainable solutions because it does not take into account the underlying complex causes of the incidents of troublesome conduct. Group processes, particularly Circles, tap into the wisdom of the group and emphasize the responsibility of the group for the management of its own conflict. Circles are respectful of individuals and create a safe space for them to be heard by their fellow employees, while at the same time reinforcing that the workplace is a whole and has a common organizational goal. The days of there being only one leader in an organization have gone, especially in larger organizations. Teams of senior managers exercise organizational leadership collectively. In that way, a diversity of leadership skills and experiences can be brought together to increase an organization’s capacity to achieve its goals. However diversity often involves conflicting perspectives. This conflict can be constructive, but not infrequently conflict within leadership teams results in organizational dysfunction. We work with leadership teams to help them manage their differences constructively for the good of the whole. Often engaging organizational leaders in thinking about responding holistically to disputes leads to a recognition of the need for systems changes in the organization’s approach to conflict management. We advise large organizations on systems re-design and see our skills in this area as one of our primary distinguishing offerings. Systems design can never be delegated entirely outside an organization. For that reason, we like to engage a cross-section of employees and managers in our systems design work. Revised organizational policies are often a first step in developing a restorative conflict management system in an organization. We are experienced with organizational policies and with transferring the idea of the new system into workable policies and procedures using the format of existing policies. Healthy organizations are always engaged in learning, so reflection and evaluation should be an organizational habit. There are useful lessons to be learned when conflict gets out of hand, including how to manage conflict better in the future. We always make debriefing a part of any process we are involved in. We also recommend a check-in a reasonable time after the process has been completed. This allows for reflection: what changes proposed as a result of the process have been implemented? Which are working and which are not? And if not implemented or not working, why not? In doing a check-in, there is an advantage to bringing someone from outside the organization, who knows the individuals in it, because people often feel more comfortable sharing their concerns with an outsider. If it is emphasized as a learning experience, people overcome their wish not to sound like complainers. It is also an opportunity to normalize the reality that there will be ongoing conflict.